Home » Books & Media » Brother Francis DVD Series: Joytoons! 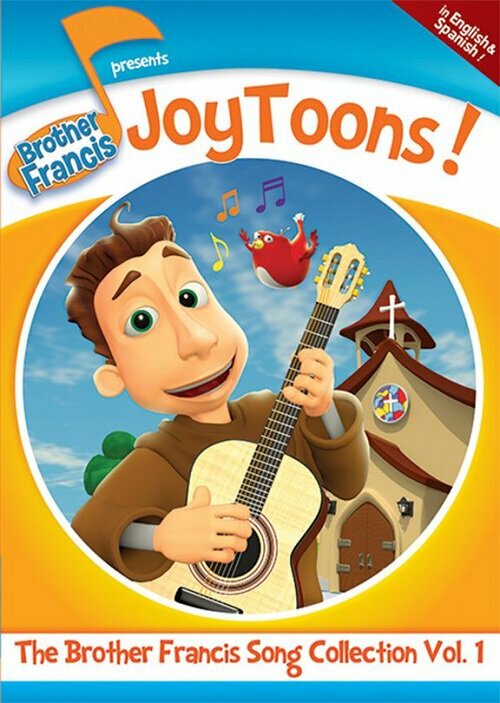 Brother Francis DVD Series: Joytoons! Join the ever-joyful Brother Francis as he teaches children about the blessings that come when heart and mind are filled with praise to God and thoughts of His goodness. Children will learn what the Bible has to say about singing and music. 30 minutes. 1. I am Loved by a Loving Father - a musical reminder that, in His perfect love, God only wants to help us. 2. I Love to Pray - a catchy song, encouraging us to communicate with God anywhere and anytime! 3. Let's Pray! - a captivating song teaching us how we can pray anywhere. 4. Jesus' Love is Very Wonderful - a worship-filled song. 5. What More Can He Give - a stirring reminder of Jesus' great sacrifice for each one of us. 6. Jesus' Love is the Light of the World - a heartwarming song revealing God's presence in the world today. 7. With a Heart of Praise - a prayer-song expressing our gratitude to God. 8. Praise God I'm Forgiven - an upbeat song celebrating the gift of God's mercy and forgiveness. 9. You are the Bread of Life - a sweet song recognition of the power of the Eucharist. 10. I've Got a Family - a musical celebration of God's grace and the blessing of Baptism. 11. With God's Love - a song that encourages us to be of service to others. 12. I will do my Best for Jesus - a musical reminder of how we can serve God. Brother Francis DVD Series: Forgiven! Brother Francis DVD Series: Let's Pray!